Instead of a concert in the Concertgebouw or the new Muziekgebouw on the IJ, I wanted to do something that would be a little bit more spectacular. My eyes fell upon Schiphol Airport. 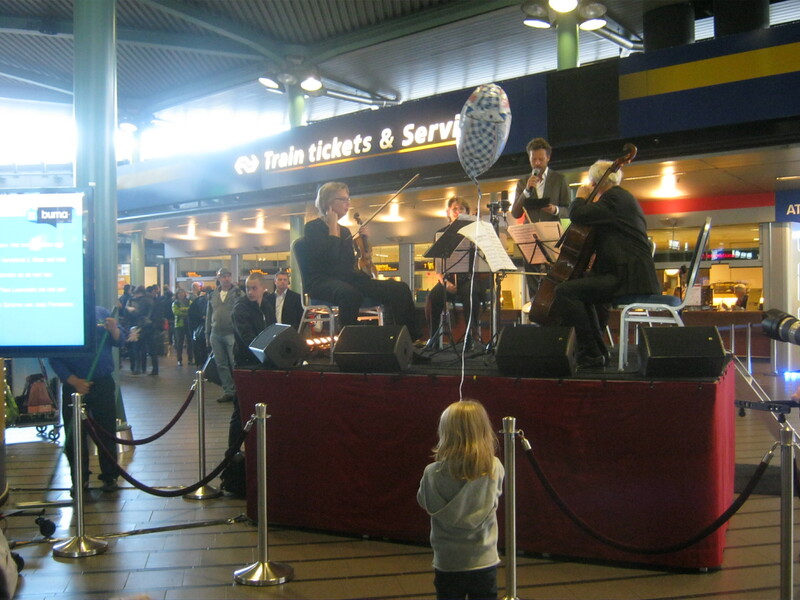 What could be more spectacular than having an entire day of performances spread throughout the airport celebrating one hundred years of Dutch classical composers? This year marks the 100-year anniversary of the Dutch performing rights organization BUMA/Stemra. In order to celebrate this anniversary, BUMA decided to organize seven events coinciding with the seven genres that BUMA represents. Being the representative of classical music on the board, it fell to me to organize something special for the contemporary classical composers. Instead of a concert in the Concertgebouw or the new Muziekgebouw on the IJ, I wanted to do something that would be a little bit more spectacular. My eyes fell upon Schiphol Airport. 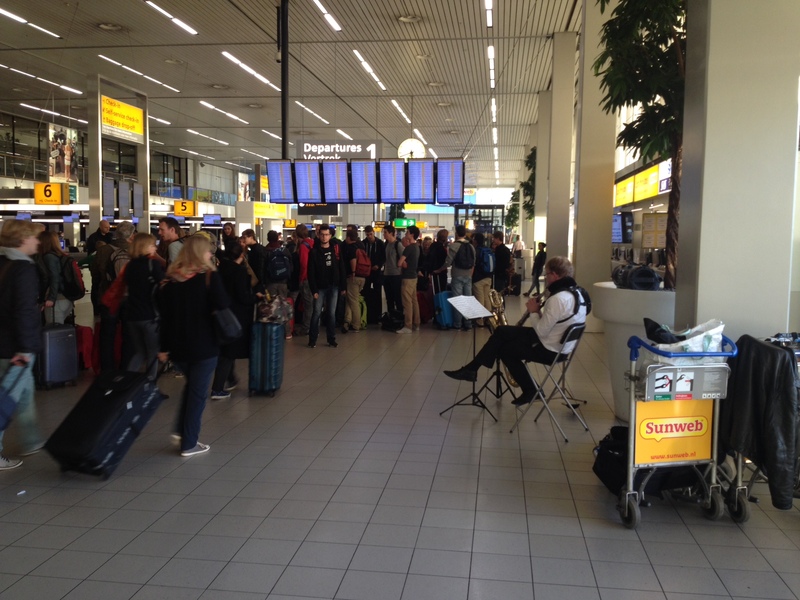 What could be more spectacular than having an entire day of performances spread throughout the airport celebrating one hundred years of Dutch classical composers? It sounded like such a simple idea. 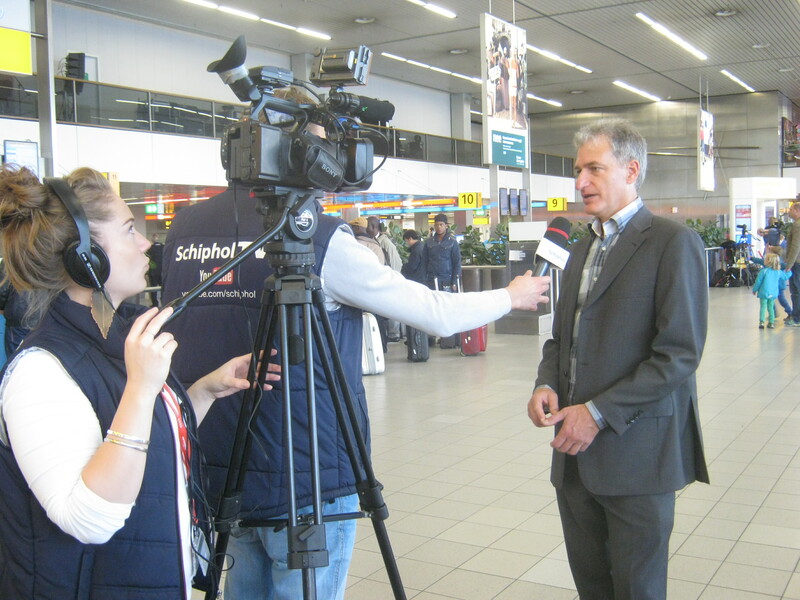 Little did I know that at the same time that I wanted to organize this event, Schiphol would be in the middle of a major renovation. But that didn’t stop me from getting two podiums built in the entrance hall to the airport, having the string players of the Residentie Orchestra conducted by David Porcelijn perform on the balcony of Departure Hall Two and having five troubadours making music throughout the rest of the departure halls. It was a magical day running from 11 in the morning until six in the evening. Six different ensembles performed Dutch music for a completely unsuspecting audience. It was marvelous to witness how everyone reacted to the music. One could feel the stress level in the departure hall decrease to almost zero when the strings started playing a piece by the founder of BUMA, Jan van Gilse. It was also almost surreal watching Remko Edelaar play solo bassoon music in departure hall three. Passengers’ reactions varied from complete surprise to not even noticing that somebody was playing the bassoon right next to them. All in all, we had more audience that day than the Rolling Stones get in a sold-out stadium.